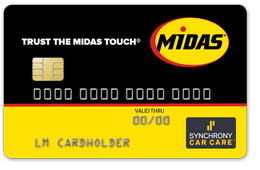 The Midas Credit Card is your “go to” card for brakes, auto maintenance, and all your auto repair needs.  At Midas, we understand that keeping, maintaining and repairing your car isn't necessarily the way you'd like to spend your money. With the Midas credit card, qualified applicants receive instant credit and time to pay the bill before interest is charged. Apply Now to receive the benefits of the Midas Credit Card in the United States. *Offer applies only to single-receipt qualifying purchases. No interest will be charged on the promo purchase if you pay the promo purchase amount in full within 6 months. If you do not, interest will be charged on the promo purchase from the purchase date. Depending on the purchase amount, promotion length and payment allocation, the required minimum monthly payment may or may not pay off purchase by end of promotional period. Regular account terms apply to non-promotional purchases and after promotion ends, to promotional balance. For new accounts: Purchase APR is 29.99%; Minimum Interest Charge is $2. Existing cardholders should see their credit card agreement for their applicable terms. Subject to credit approval. We reserve the right to discontinue or alter the terms of this offer any time. 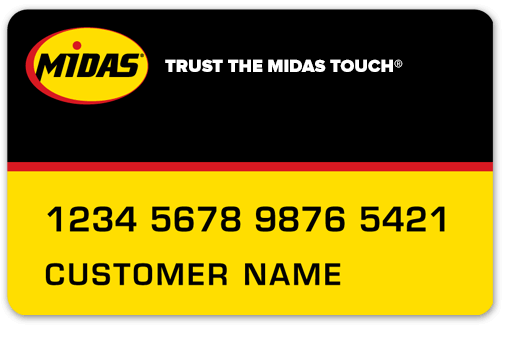 Apply for the Midas Credit Card at your local Midas store to receive these benefits. *Credit available to qualified applicants. Credit decisions made by Fairstone Financial Inc.® or its agents. Payment terms subject to credit availability.